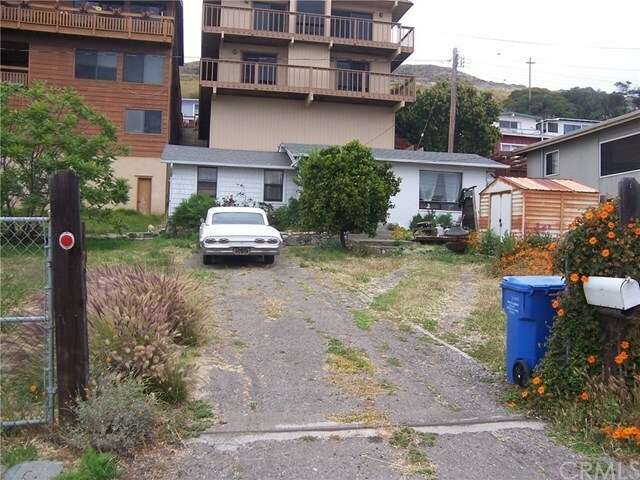 Location, location, location for this large, flat double lot (6,540 sq ft) in historic Olde Town Cayucos, just 2 blocks from the ocean. Build your beach town get-a-way dream home with room for a separate guest home. Walk to downtown, shops, restaurants, the landmark Cayucos Pier and to the beach and be perfectly situated with easy access to Hearst Castle and the Paso Robles wine country. The existing 1 bedroom, 1 bath home has been a rental for many years so bring your creative ideas and make this your new spectacular vacation or personal family home.